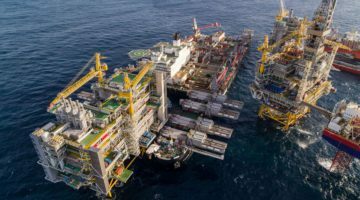 This video shows the float-over installation of a 15,748 ton topside on an offshore facility off Malaysia using dynamic positioning and the Dockwise-managed heavy lift vessel HYSY 278. The operation was the 13th DP float-over for the marine management and consultancy company ADPS, which provides the DP expertise to the heavy lift vessels and their crew. According to the uploader, the DP float-over method is preferred because alternative methods take more time and use anchors and cranes. This operation was completed in just 6 hours, including the approach to the jacket, the cutting of the sea fastenings and the ballasting.